The farmers market is in its 13th season in downtown Berkeley Springs. Local growers peddle their fresh produce, baked goods, flowers and more every Sunday from 10AM to 2 PM from April 1 thru Dec. 16. Enjoy a Thursday market from July 5 to August 30 between 2 PM to 5 PM. Check out their website at www.berkeleyspringsfarmersmarket.org for details. Studios will be open between 10:00 a.m. & 5:00 p.m.
12 Artists at 11 Studios. 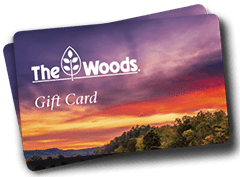 Check out www.trailsandtrees.org for a map and details. More information can be found at www.berkeleyspringsstudiotour.org. Call 301-790-3500 or visit www.mdtheatre.org for complete show and ticket information. Peter And The Starcatcher – May 11, 12, 18 & 19, 2018Call 304-263-6766 for show times and ticket information or visit their website at www.apollocivictheatre.org. For more information visit their website at www.catf.org. Participate in activities galore at this year’s annual event! Youth Fair events will take place in August 4-11, 2018 and will include: carnival rides and amusement rides, a Truck- and Tractor-Pull, food vendors, bull riding, demolition derby, livestock events and more! For more information, visit the Youth Fair website at www.berkeleycountyyouthfair.org. Visit Berkeley Springs on Columbus Day Weekend, 2018 for wares by local artists and craftspeople, and enjoy museum tours, food, live music, apple butter-making, contests and much more! For more information and a schedule of activities, visit the Apple Butter Festival website by clicking here. Make plans to be in Martinsburg this October 18-21, 2018 for the 39th Annual Apple Harvest Festival! This fun-filled event will feature the coronation of Queen Pomona XXXVIII, a variety of apple-themed contests, arts and crafts, a parade, and more! For more information visit www.msahf.com. For The Kids, By George! Come out and enjoy the area’s newest children’s museum. Located at the train station in Martinsburg, this new attraction features interactive exhibits designed to pique the interest of our youngest historians. 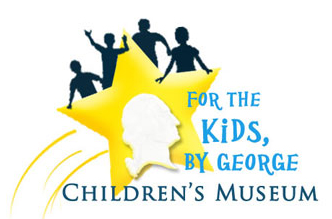 For more information and tickets visit http://www.forthekidsbygeorge.org/. ArtBerkeley is a non-profit membership organization for local artists. Its mission is to enhance the arts community in Berkeley County and throughout the region. To get involved or to learn more about their activities and exhibits, visit their webpage. For performance information, please contact the box office at 540-665-4569 or visit Shenandoah University’s Performing Arts Live webpage. At Orr’s Fram Market, 682 Orr’s Drive, Martinsburg. Enjoy a fun-filled day of art, live music, and food. Local and regional juried artists will display their trades. 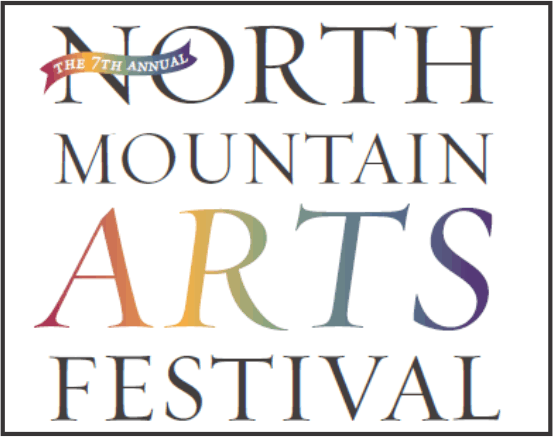 For more information visit www.northmountainartsfestival.com.